Martin Freeman is dropping clues. Independent reports Dr. John Watson’s alter-ego told Graham Norton that the fourth season (possibly the final season) of Sherlock should premiere sometime around Christmas, 2016. In UK, the Sherlock TV show airs on BBC One, and usually debuts around January 1st. In the US, Sherlock typically kicks off on PBS a few weeks later. The BBC and PBS finally managed to coordinate their schedules for the Victorian special episode of Sherlock, “The Abominable Bride.” Both networks aired the special on January 1, 2016. The upcoming three-episode Sherlock, season four, features Sherlock Holmes (Benedict Cumberbatch), back in UK, as Watson and new bride, Mary Morstan (Amanda Abbington), ready themselves for the birth of their child. Will Sherlock be cancelled, or otherwise end, after the upcoming fourth season? It is a real possibility. Learn more. What do you think? Has the show been off the air so long that it sometimes feel like Sherlock has already been cancelled? Are you excited for the fourth season of the Sherlock TV series? Do you think it should be the last? 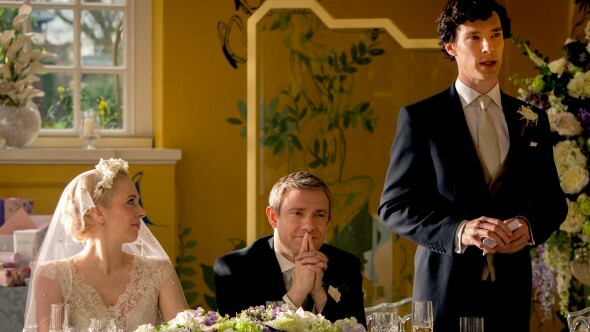 More about: Sherlock, Sherlock: canceled or renewed? OMG please, please do not cancel this show. I wait all year for this show to come on!! I cannot hardly wait for it!!!! This is the best show ever, ever, ever on TV. PLEASE, PLEASE do not cancel this show. I will cry forever if it is cancelled.